Padang-Padang Beach Bali, Hidden Beauty Beach. 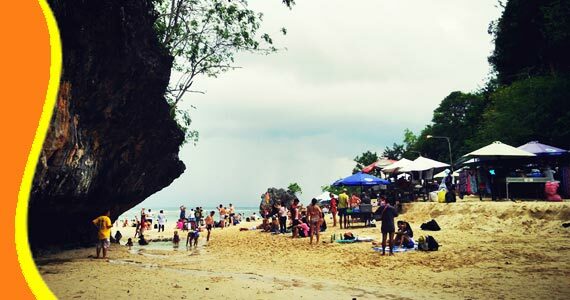 Padang-Padang Beach scenery is very beautiful with clear turquoise water, white sand and the sound of the waves that break up the beach makes it a very suitable place for recreation relaxing, sunbathing, and surfing. 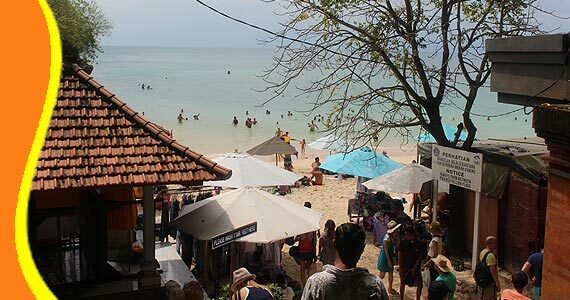 Bali is famous for its charming beaches and one of the beaches are Padang-Padang which is located in Pecatu (sometimes known as Labuan Sait Beach). 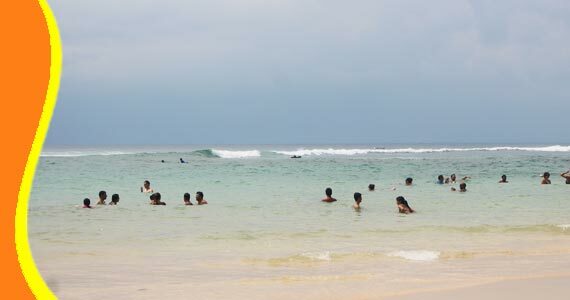 Padang-padang beach is one beauty beach attraction is not inferior to other beaches in Bali. Padang-Padang Beach scenery is very beautiful with clear turquoise water, white sand and the sound of the waves that break up the beach makes it a very suitable place for recreation relaxing, sunbathing, and surfing. The beach is surrounded by solid rock cliffs. To reach travelers must pass through a gap cliffs only fit one person and down the stairs one by one to be able to reach the shore. This is what makes the beach fields has its own uniqueness. 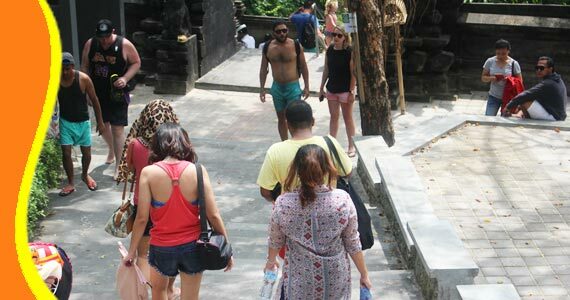 Tourist who came to Padang padang now is foreign and domestic tourists, including local residents during the holiday season. Besides the location is unique and has a beautiful view, perhaps because this place was once the video shoot world music group Michael Learns To Rock and also the movie of Eat, Pray, Love, starring Hollywood actress Julia Roberts. Padang Padang Beach view from the bridge, above of the beach. 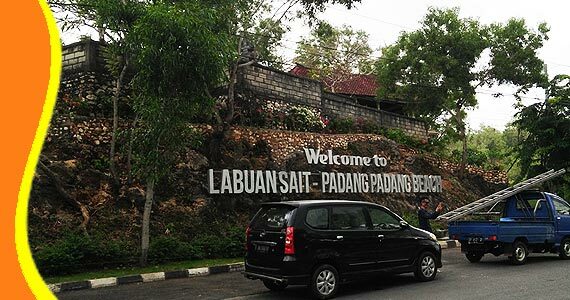 For further explanation and the information about Padang Padang Bali, Padang Padang, Taman Ayun Transport, Visit to Padang Padang surf Camp. Get a Bali Transport from your stay (Bali Resort or Bali Hotel). You can contact us if you need transport to go to Padang Padang and other related Bali tourist destination. 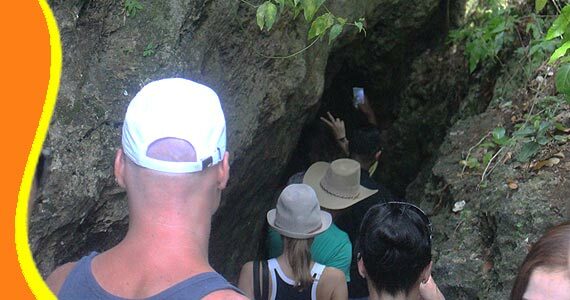 Tour to Padang Padang Beach Bali can be combined and implemented in conjunction with other activities Trip or Tour in the same direction. 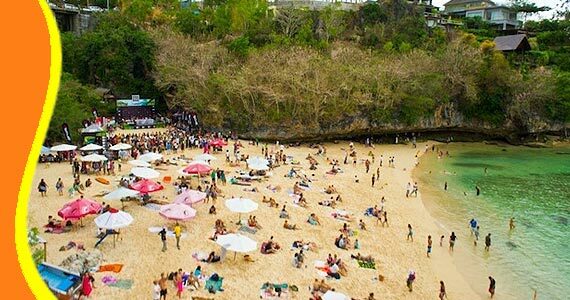 Watch on Youtube Video Player of Padang Padang Beach Bali Labuan Sait in Uluwatu. “Wonderful Place (David - UK)"